Budget 2018 has introduced standard deduction of Rs 40,000 for salaried tax payers. The good thing is this would be applicable for pensioners too. This deduction can be availed without submission of any proofs. With introduction of standard deduction, the Transport Allowance & Medical Reimbursement would no longer be tax free. Currently the transport allowance was tax free up to Rs 19,200 and medical reimbursement up to Rs 15,000. Net of these allowances and introduction of standard deduction salaried tax payers have additional tax exemption of only Rs 5,800. Also Read: How to Pay 0 Income Tax on Rs 16 Lakh Salary? There has been NO change in the income tax slabs in Budget 2018. However from FY 2018-19 the existing cess of 3% (Education, Secondary and Higher Education Cess) has been increased to 4% and named as Health and Education Cess. Budget 2018 has reintroduced long term capital gains tax of 10%+cess (i.e. 10.4%) on gains made of sale of equity or equity oriented mutual funds. To qualify for long term capital gains the stocks/mutual fund should have been held for at least 1 year. The good news is capital gains up to Rs 1 lakh is tax free. Budget 2018 has introduced a new section 80TTB according to which senior citizens would be able to claim interest income up to Rs 50,000 as tax exempted income. However if you take benefit u/s 80TTB then you cannot claim tax benefit on interest received on savings bank account u/s 80TTA. There is TDS (tax deduction at source) for almost all kind of income. However as a relief to senior citizens Budget 2018 has raised the limit for TDS on interest income from Rs 10,000 to Rs 50,000. So TDS would only be applicable for senior citizens if the annual interest income from a bank/post office is more than Rs 50,000. In case assesses buy single premium health/medical insurance policy covering multiple years, the tax exemption u/s 80D would be available proportionately for all the years. For e.g. if you pay Rs 1,00,000 premium for a health policy covering for 5 years, you can claim Rs 20,000 tax exemption every year for 5 years subject to limits. The Medical Insurance premium and the preventive health check-up limit for senior citizens under section 80D has been increased from Rs 30,000 to Rs 50,000. This is good news in keeping with the ever increasing health care and related insurance costs. From FY 2018-19, the long term capital gains tax exemption by investing in long term capital gains bond from specified companies (NHAI, REC or PFC) u/s 54EC would only be available for capital gains from sale of property including land, residential or commercial building. Until this year these bonds could be used for capital gains arising from sale of any asset. The maturity period for Long Term Capital Gains Bond has been increased from 3 years to 5 years. This would make these bonds less attractive. Remember the interest rate is just 5.75% and the interest received is fully taxable. Until now 40% of NPS corpus on withdrawal was tax exempted for employees. However from FY 2018-19 this benefit has been extended to all NPS accounts. 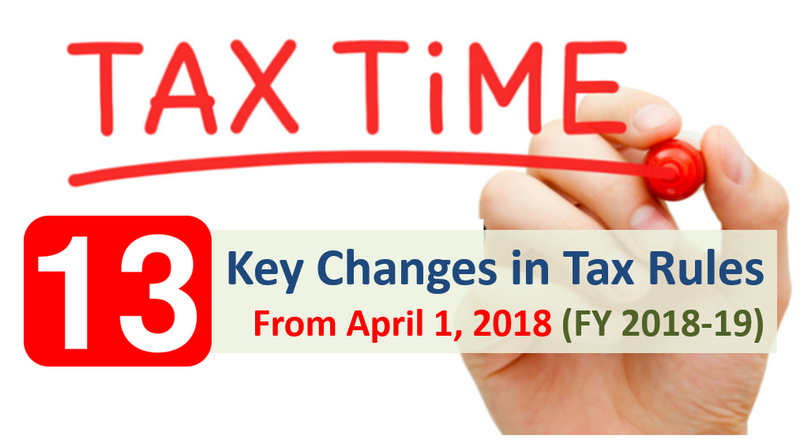 The above changes would be applicable for the FY 2018-19. So make a note of the above and plan your investments and taxes accordingly. All the allowances mentioned by you are tax free. For mobile however you’ll need to submit bills.